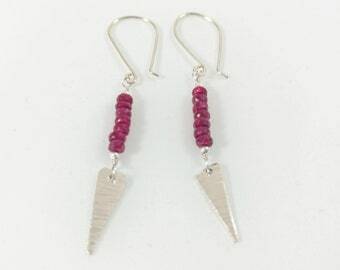 Sparkly, faceted Moonstone beads and hammered sterling silver triangles make these geometric earrings swing and shine! 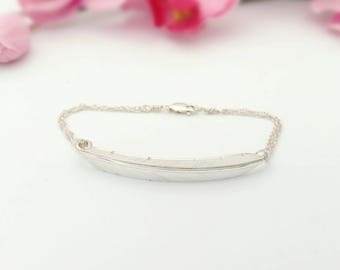 These beauties would make the perfect gift for you, your daughter or your bridesmaids. 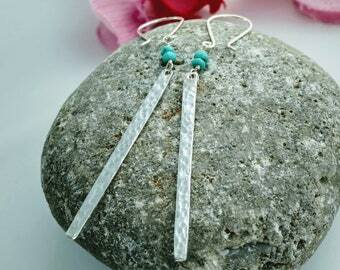 Ear wires are hand shaped from 20 gauge sterling silver wire. 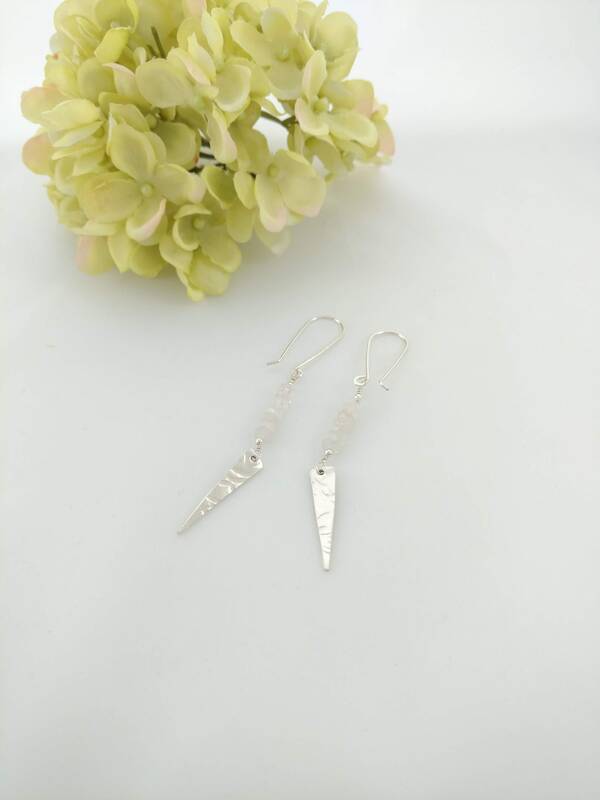 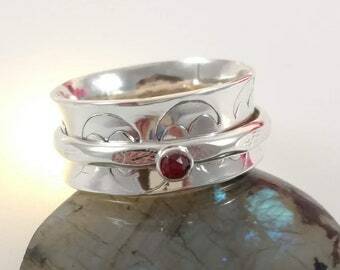 Sterling silver triangles are hand formed, hammered for texture, and measure approximately 1 inch. 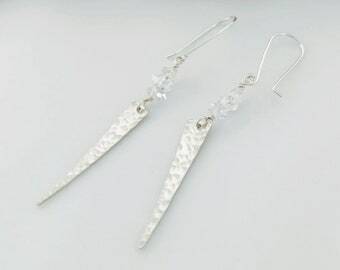 AAA certified moonstones are 4 mm faceted beads. 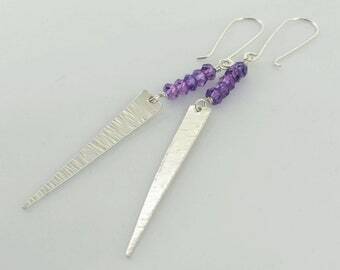 Each earring measures almost 3 inches from top of ear hook to bottom of earring dangle. 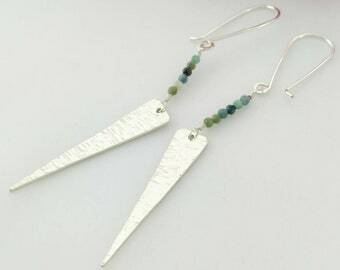 All components of these earrings, except the moonstone, are .925 sterling silver.